Norma McCorvey, Roe Of Landmark Roe v. Wade Ruling On Abortion, Dies At 69 : The Two-Way McCorvey, who adopted the pseudonym Jane Roe in the Supreme Court case that legalized abortion in 1973, was a champion for abortion rights activists and — later in life — for their opponents, as well. 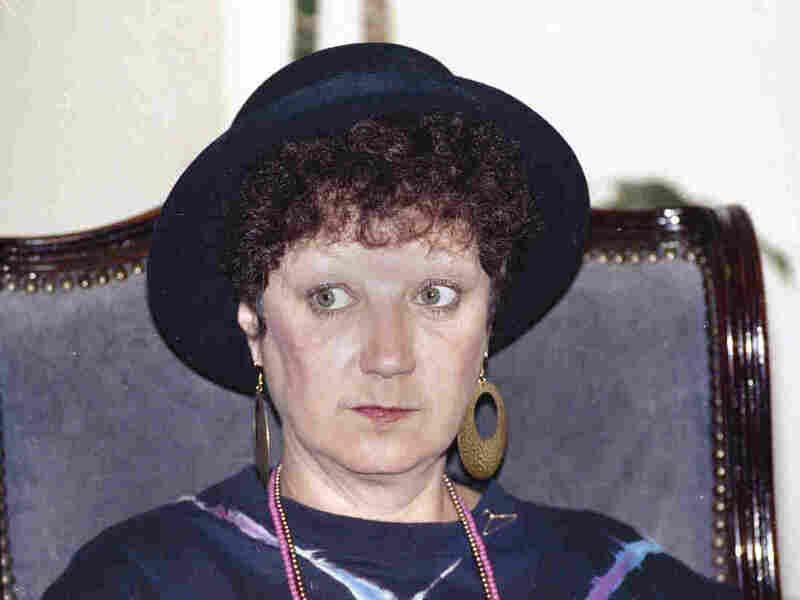 Norma McCorvey, who adopted the pseudonym "Jane Roe" in the Supreme Court's Roe v. Wade decision, is seen in 1990. Many only know Norma McCorvey by a name that's not hers. Under the pseudonym Jane Roe, McCorvey became the central figure of Roe v. Wade, the landmark 1973 Supreme Court ruling that legalized abortion in the U.S. But in the decades that followed, the complex woman came to serve as a champion at times for both sides of the deep divide over abortion rights. McCorvey died Saturday of heart failure at the age of 69, according to her daughter Melissa, and Joshua Prager, a journalist who is writing a book about the court case, says McCorvey died in Katy, Texas. It was her third pregnancy — after Melissa, her eldest, and another child McCorvey gave up for adoption — that brought McCorvey to the attention of the lawyers who would eventually take up her case. The 22-year-old McCorvey, who was then unmarried, had been seeking an abortion but could not find a doctor in Texas who would perform the procedure, which was then illegal except when the life of the mother was endangered. Attorneys Sarah Weddington and Linda Coffee took up McCorvey's case, and in 1970, they filed the lawsuit that — after several twists and turns — would ultimately wind up at the Supreme Court. By the time the ruling was finally passed down in 1973, however, McCorvey had already carried her pregnancy to term, and had given up the child for adoption. Though Roe v. Wade may not have changed McCorvey's particular circumstances, the landmark Supreme Court ruling had a massive effect on the cultural and political landscape of the United States. The 7-2 decision, which invalidated state bans on abortion in the U.S., may not have started the long-simmering dispute over the procedure, but it came to be its central flashpoint in the decades that followed. As Julie Rovner reported for NPR in 2013 — the decision's 40th anniversary — opinions on the ruling remained as deeply entrenched as the year it was handed down. "Over the past two decades, opinion on whether or not Roe should be overturned has barely changed," Rovner reported at the time, citing a Pew Research Center poll. "In 1992, 60 percent of those asked said the court should not overturn the ruling. Today that's up to 63 percent." The case had no less of an impact later on McCorvey, who was still just 25 when it ended. She maintained her anonymity for more than a decade, until setting it aside in the 1980s. At that point, she remained a staunch defender of abortion rights, "working for a time at a Dallas women's clinic where abortions were performed," according to The Associated Press. Yet in the mid-1990s, after the publication of her first memoir, McCorvey underwent a dramatic conversion — announcing that she had become a born-again Christian. What's more, she went to work for the anti-abortion group Operation Rescue, from which position she then championed against the abortion rights granted by the case that bears her pseudonym. "I'll be serving the Lord and helping women save their babies. I will hold a pro-life position for the rest of my life," McCorvey once said, explaining her conversion. "I think I've always been pro-life. I just didn't know it." In an interview with Fresh Air in the '90s, McCorvey looked back on her experience as Jane Roe. "I feel like a role model in one sense of the word," McCorvey said. "But when people really stop and really sit down and think about Jane Roe or Norma McCorvey, I feel like any woman who's ever been denied anything in her whole life is a Jane Roe. Because no woman should have to suffer all the pain and humiliations and indignities that I've had to face."